As a young boy, his mother knew that he was going to be something of legend and something tugged at him as well. He was the only human who could podrace (even though he only ever won a single race). The great Jedi who met him would know immediately that he was someone of great importance. The prophecy was about to be revealed. Not to mention this guy sure knew how to pick out a pair of boots. He eventually moved up to a shiny pair of black ones to fit his dark atmosphere and ensemble, but these are the ones that started it all. You may not bring balance to the Force, but these Adult Anakin Boots will bring balance to your Jedi costume! These deluxe boots have authentic details and a sturdy lug sole for traction. 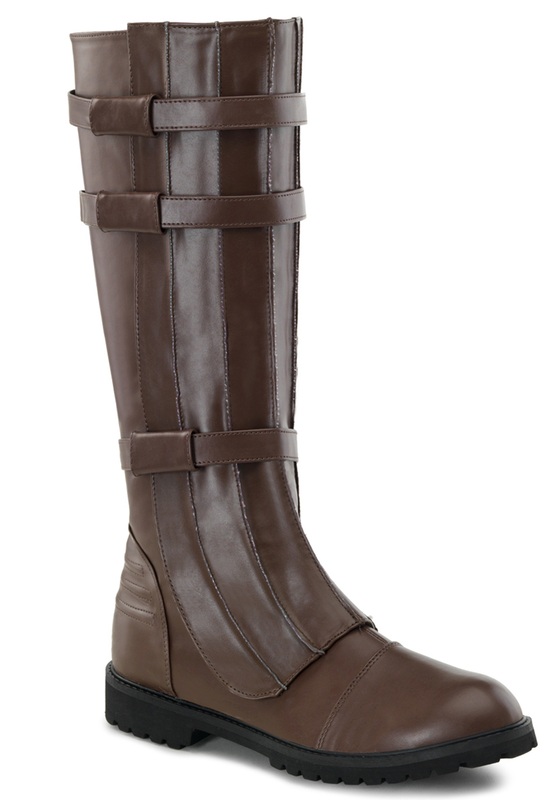 They may be Anakin's boots but they're perfect to complement any Star Wars Jedi costume.